WASHINGTON, April 2, 2019 /PRNewswire/ -- Washington, D.C.-based venture capitalist, entrepreneur and civic leader Mark Ein today announced that the Citi Open® tournament will remain in Washington, D.C., after closing a deal to acquire the management rights of the Citi Open from the Washington Tennis & Education Foundation (WTEF), a non-profit which provides free tennis and educational programs for children in underserved communities. While terms for the management deal were not disclosed, Ein has the option to buy the tournament within five years. 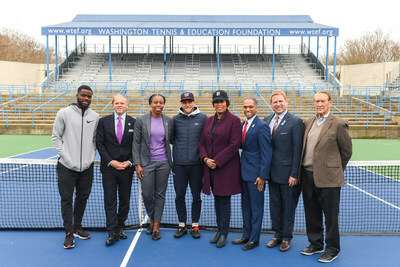 Ein made the announcement at Rock Creek Park Tennis Center accompanied by Mayor Muriel Bowser, ATP Tour Players Frances Tiafoe and Denis Kudla, Ward 4 City Councilmember Brandon Todd and WTEF President Rebecca Crouch. After a six-month bidding process that attracted worldwide interest, Ein emerged as the clear choice to take over the tournament with his commitment to keeping the event in the nation's capital and providing ongoing support for the tournament's charity, the Washington Tennis & Education Foundation. As part of the agreement, Ein made a significant financial contribution and substantial future financial commitments that will enable WTEF to build its endowment to further the charity's mission and ensure its financial future as part of the agreement. The WTEF and their programming will continue to benefit from the Citi Open and be featured prominently throughout the weeklong event as the primary charitable partner and beneficiary. The tournament is one of the WTEF's biggest annual fundraisers and has raised millions for youth programs since it was founded in 1969. Ein, a native of Chevy Chase, Md., grew up close to the tournament site, served as a ball kid at the tournament for many years in his youth and has attended the event throughout his life. "I grew up with this tournament and I know first-hand the profound impact it can have on individuals like myself and on our community more broadly, so I am thrilled that we were able to come to an agreement to keep this very special event here in Washington," said Ein, who also owns the six-time World TeamTennis champion Washington Kastles team. "This is an iconic tournament on the world stage that has been woven into the fabric of our local community across many generations. I am grateful to the board and leadership of WTEF for working with me to keep the event here, and we now need the continued engagement of the NPS, city leadership and our business and tennis communities to make sure this tournament remains in the District for future generations to enjoy." "It wouldn't be summer in the sports capital without the Citi Open," said Mayor Muriel Bowser. "For 50 years, Washingtonians have gathered to watch the top tennis players compete at the Rock Creek Park, and over time, DC has transformed into a town where young athletes can not only play top-level tennis, but also thrive in it. We are grateful for Mark Ein's leadership and look forward to many more years of hosting the Citi Open in Washington." "After 50 years of tradition, I am thrilled to be keeping this important event in our community especially for our children who benefit immensely from it. With the hard work of our organization and new management, I'm confident the best versions of this tournament are forthcoming," said Manny Ortiz, WTEF Board Chair. "Ward 4 has hosted world-class tennis at Rock Creek Park for half a century, and I am delighted that this time-honored tradition will continue," said Ward 4 Councilmember Brandon Todd. "We are so appreciative of Mark Ein's investment and belief in our community and the beloved Citi Open tennis tournament." "No one is more passionate than Mark Ein for the sport of tennis and for his local community," said USTA CEO and Executive Director Gordon Smith. "These passions have combined to ensure the future of professional tennis will thrive in Washington, D.C. His leadership truly makes a difference and of course we are thrilled to welcome the Citi Open back into the US Open Series." Washington is one of the five largest tennis events in the United States and one of only five tour events featuring players from both the ATP and WTA Tours competing simultaneously. After fifty years, it is also the longest running pro tennis event at the same site in the United States. Since the first event in 1969, the men's tournament has brought some of the Tour's great champions to the nation's capital over the past five decades, including Arthur Ashe, Jimmy Connors, Michael Chang, Andre Agassi, Andy Roddick, Bob and Mike Bryan, Juan Martin del Potro, John Isner and Alexander Zverev. The WTA event, which was added in 2012 as a WTA International level tournament, has boasted singles champions that include Sloane Stephens and Svetlana Kuznetsova. Ein is known throughout the District for his widespread philanthropy, civic leadership as well as his successful business ventures. As the Founder and CEO of Venturehouse Group, LLC and Capitol Investment Corporation (NYSE: CIC), Ein has been involved in the founding or early stages of six companies that have been worth over one billion dollars and has led over $1.8 billion of private equity, venture capital and public company investments many of which were located in the Greater Washington area. He is currently the majority owner of leading security company Kastle Systems, and, following significant investments, is Chairman of Lindblad Expeditions and Vice Chairman of Cision. Ein was a 2018 inductee into the Washington Business Hall of Fame, and has been honored with the Jefferson Award, the nation's highest honor for public service. Serving as Board Chair of the DC Public Education Fund since 2010, Ein has worked with leading local and national philanthropic organizations to raise $120 million of support for the Washington D.C. public school system. In addition, he currently serves on the boards of the DC Policy Center (Co-Founder), Federal City Council (Executive Committee), DC College Access Program (DC-CAP) and the Smithsonian National Museum of Natural History. He formerly served on the Board of the United States Tennis Association (USTA) from 2012-2018 (serving as a Vice President of the Board from 2016-2018) and is currently a Presidential Appointee to the USTA Board as well as on the Board of the International Tennis Hall of Fame. He was inducted into the Mid-Atlantic Tennis Hall of Fame in 2012. In September 2009, Washington D.C. Mayor Adrian Fenty presented Ein with the Key to the City, highlighting his Washington Kastles success on the court and, "for their commitment to the District's communities and our youth." Over the past year, Ein has created a new sports, entertainment and media holding company which owns and manages several iconic properties that share a mission of bringing the Washington, D.C. community together through creating extraordinary and memorable events to a diverse set of audiences while supporting local charitable partners. In addition to the Citi Open tournament, the other properties include the six-time World TeamTennis champion Washington Kastles which has donated over $2.0 million to local charities since its founding in 2008, the new Washington Justice franchise in the premier global esports Overwatch League, and the renowned weekly Washington City Paper that has served the Washington, D.C. metropolitan area since 1981. The transfer of management to Ein comes at a pivotal moment for this tournament, which marked its 50th anniversary last summer. The tournament will continue to be played at the Rock Creek Park Tennis Center, which is owned and operated by the National Park Service and its concessionaire, Guest Services, Inc. Ein says the first priority will be to address much-needed facility updates for the half-century-old stadium and grounds that are needed to secure the long-term future of the tournament at this site and for the city. He has already engaged NPS and government officials to solidify plans that would not only raise the profile of the tournament but would renovate and modernize the facility as well as benefit its community members in Ward 4 and surrounding neighborhoods on a year-round basis. In the immediate future, Ein looks to enhance the overall fan experience including significantly upgraded food and beverage offerings, improved grounds, new hospitality areas available to all fans, better parking and ride-sharing logistics, on-site entertainment and complementary activities such as pickle-ball showcases and upgraded merchandise. In appreciation to the fans that have helped build the event over decades, the new team also has announced that season ticket prices will not increase in 2019. "We have big plans for this tournament, all centered on making the Citi Open an unmatched experience that will appeal to and be affordable for all Washingtonians making it THE place to be for each of those nine days and nights in D.C.," said Ein. With regard to the player experience, Ein added, "We are committed to making this one of the most player-friendly tournaments on tour with new concierge and player services that will significantly enhance the athletes' overall experience while playing in the event and being in Washington, D.C., one of the most popular tourist and visitor destinations in world." Leading up to his official management control of the tournament, Ein has already negotiated an extension of Citi's title sponsorship agreement through the 2019 event. The global banking leader has been involved with the Washington tournament since 2012. Ein has also closed a deal with host broadcast partner, Tennis Channel, to renew its agreement for another five years. Fans can watch and stream men's and women's action from first ball to last from July 29-August 4 on Tennis Channel and Tennis Channel Plus. Tennis Channel is expected to televise around 160 hours of coverage from four courts at the Rock Creek Tennis Center. The tournament will return to the United States Tennis Association's US Open Series for the first time since 2014 pending ATP Board approval. 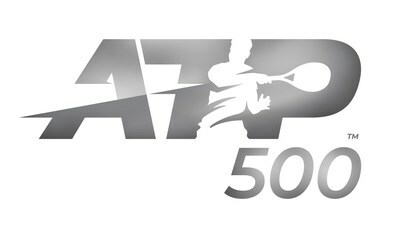 Citi Open, which is home to the only ATP 500 tournament in the U.S. and one of only 13 around the world, rejoins the summer hard-court swing of men's and women's tournaments leading up to the US Open. The US Open Series provides a centralized promotional platform for the sport in North America, showcasing the best players in the world as they compete throughout the U.S. and Canada. Other US Open Series cities include: Atlanta (ATP), San Jose (WTA), Toronto (WTA), Montreal (ATP), Cincinnati (ATP/WTA), Winston-Salem (ATP). Tickets for the 2019 Citi Open tournament, which runs July 27-August 4, go on sale the week of May 6. 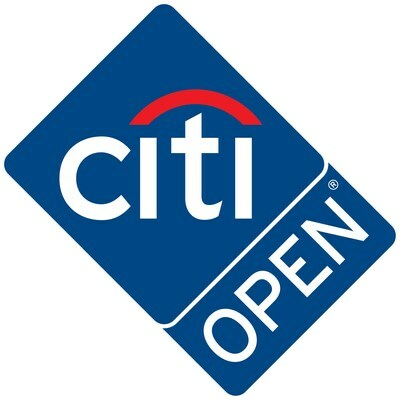 For more information, visit www.citiopentennis.com, or follow the Citi Open on www.facebook.com/citiopen, @CitiOpen on Twitter, or CitiOpen on Instagram. Mark D. Ein is an investor, entrepreneur and philanthropist, who has created, acquired, invested in and built a series of growth companies across a diverse set of industries over the course of his 30-year career. During this time, Ein has been involved in the founding or early stages of six companies that have been worth over one billion dollars and has led over $1.8 billion of private equity, venture capital and public company investments. Ein is the Founder and CEO of Capitol Investment Corporation 4 (NYSE: CIC) and Venturehouse Group, LLC and Leland Investment Co.
A native of the Washington, D.C., area, Ein is also the Founder and Owner of the Washington Kastles, the most successful team in World TeamTennis history. The Kastles have won the league championship six of its 11 years since its founding, and holds the record for the longest winning streak in U.S. pro team sports history winning 34 straight matches from 2011 through 2013. In September 2018, Ein founded the Washington Justice esports franchise in the Overwatch League, bringing the premier global esports league to the greater Washington, D.C. region. Also, in 2018, Ein acquired the Washington City Paper, the renowned weekly paper serving the Washington, D.C. metropolitan area since 1981. In 2019, Ein took over management and operation of the Citi Open in Washington, D.C., one of only five U.S. professional tennis tournaments that include both men's and women's fields. He has won numerous awards including the Washington Business Hall of Fame, Washington DC Business Leader of the Year from the Chamber of Commerce, the Jefferson Award (the nation's highest honor for public service), Washington Business Journal Top Corporation for Philanthropy (Small Companies), Washington Business Journal Power 100, Entrepreneur of the Year Awards from Ernst and Young and the National Foundation for Teaching Entrepreneurship (NFTE). In September 2009, Washington D.C. Mayor Adrian Fenty presented Ein with the Key to the City, highlighting his Washington Kastles success on the court and, "for their commitment to the District's communities and our youth." The Citi Open® tournament has been Washington, D.C.'s premier tennis event since 1969 and benefits the Washington Tennis & Education Foundation (WTEF), the tournament's non-profit owner and beneficiary. Beginning in 2019, venture capitalist and entrepreneur Mark Ein will manage and operate the tournament under an agreement with WTEF. The organization provides underserved children in the D.C.-area with a safe environment to learn critical life skills both on and off the courts through academic and athletic enrichment. The Citi Open Tennis Tournament is one of only 13 elite ATP World Tour 500-level events worldwide and the only one held in the United States. 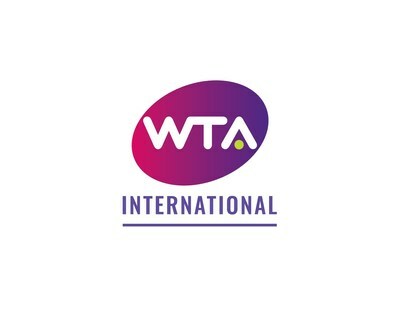 The tournament also features a WTA International Tournament, which provides fans the opportunity to watch simultaneous competitions of both world-class men's and women's tennis throughout the nine-day event. It is one of only five U.S. tournaments that include both men's and women's fields. The Washington Tennis & Education Foundation (WTEF) is a premier educational and tennis organization for underserved children in Washington, D.C. The mission of WTEF is to improve the life prospects of low-income, underserved children and youth in the District of Columbia through athletic and academic enrichment. We seek to keep children off city streets during out-of-school time in a safe environment they can trust. We also engage them in productive activities that teach discipline, build confidence, improve school performance, and encourage a healthy lifestyle. We empower our students to achieve their highest potential by helping them develop meaningful values and critical life skills that will lead them to make constructive life choices. 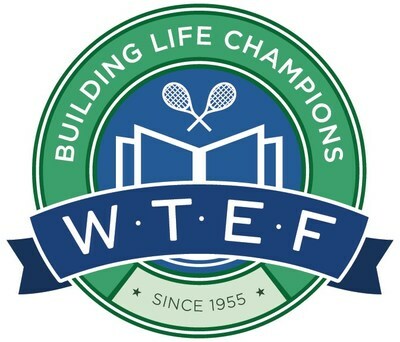 WTEF builds life champions. For more information, visit www.wtef.org. Citi, the leading global bank, has approximately 200 million customer accounts and does business in more than 160 countries and jurisdictions. Citi provides consumers, corporations, governments and institutions with a broad range of financial products and services, including consumer banking and credit, corporate and investment banking, securities brokerage, transaction services, and wealth management. Additional information may be found at www.citigroup.com/| Twitter: @Citi | YouTube: www.youtube.com/citi| Blog: http://blog.citigroup.com | Facebook: www.facebook.com/citi| LinkedIn: www.linkedin.com/company/citi.